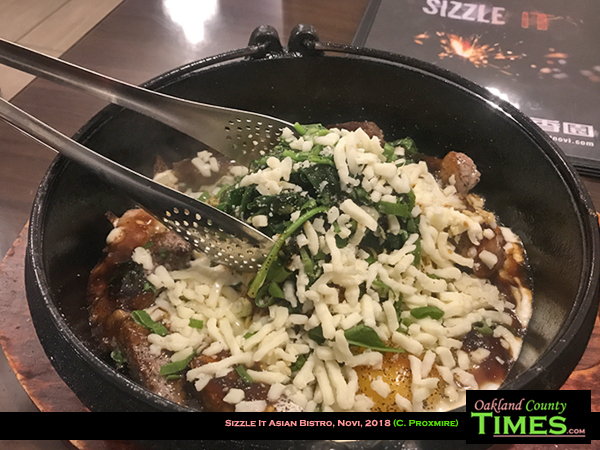 Novi, MI – Sizzle It! The name is as exciting as the food at this tiny Asian Bistro at 31194 Novi Road. I am so glad for the recommendation to check this place out after a meeting earlier this week. Sizzle is simply stir fry, and Sizzle It does it right. 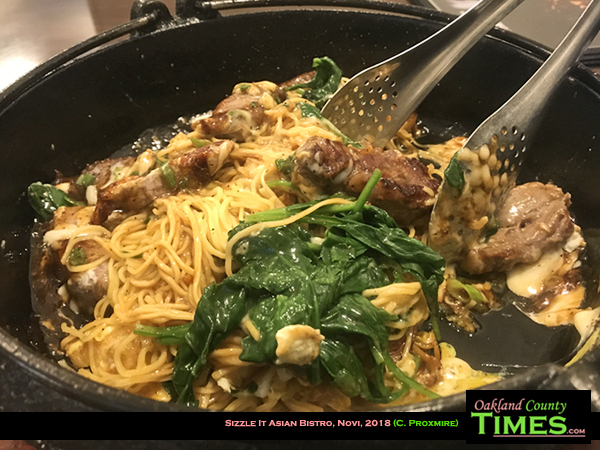 The concept of sizzle is simple – pick a meat, pick rice or noodles, and pick three items to stir fry in. 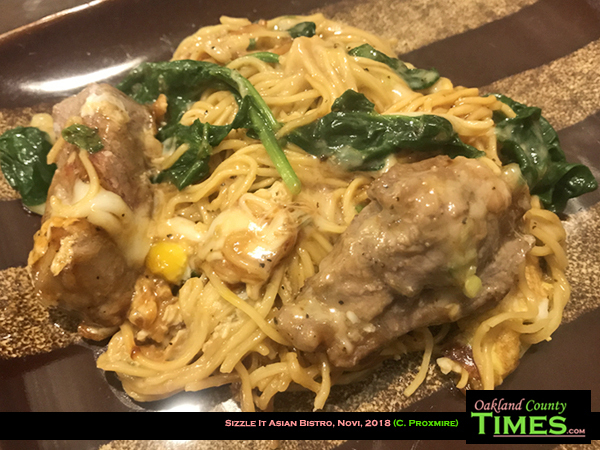 My choice was Ribeye steak, with noodles and spinach, mozzarella and egg. 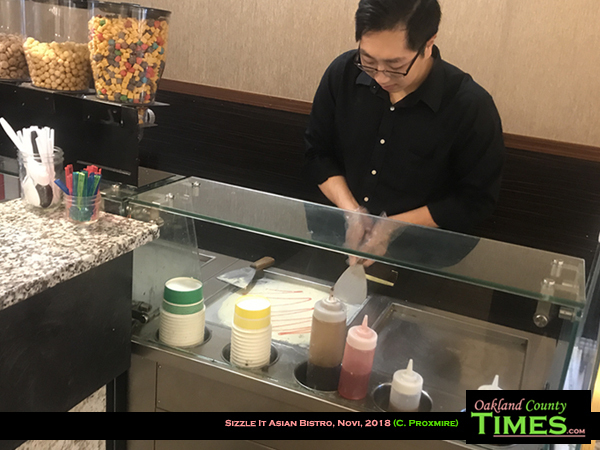 Other choices include Angus Sliced Beef, Chicken, Salmon, Shrimp, Sliced Lamb, Unagi, Corn, Bean Sprout, Seawee, Sesame, Broccoli, Mushrooms, and Green Beans. There’s also a choices of sauces that includes garlic butter, teriyaki, Szechaun, Garlic Soy Sauce, Curry and Spicy Mayo. I went for the Teriyaki. I absolutely loved this dish and I can already imagine what other combinations I’d like to try. The sizzle came to the table in a hot skillet and a side plate. 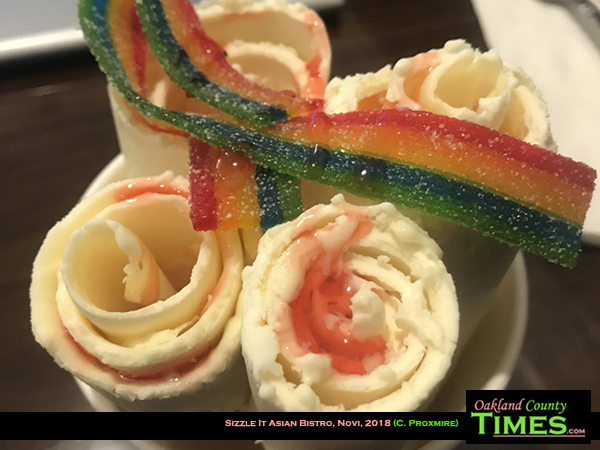 Something else that I’d never had before was rolled ice cream. It tastes like regular ice cream by it’s made by pouring cream on an extremely cold surface and rolling it with a spatula. 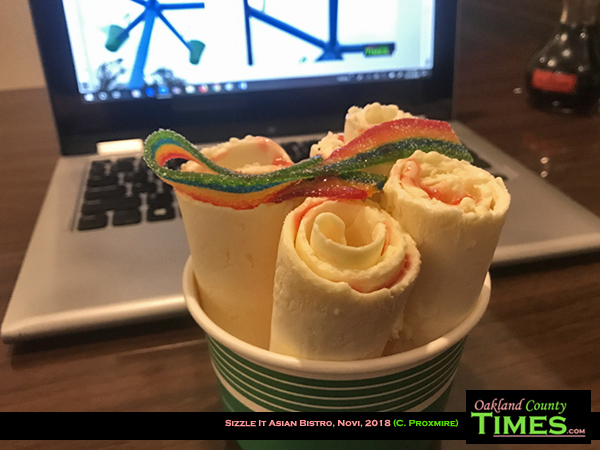 I had banana flavored ice cream with strawberry syrup and strips of rainbow candy on top. 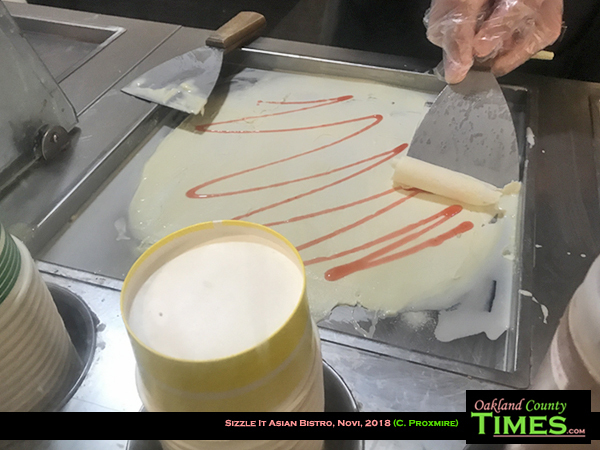 Like the Sizzle, there were many options for the ice cream and the toppings. Sizzle It also has a variety of Ramen dishes, Bento Boxes and Bubble Teas. 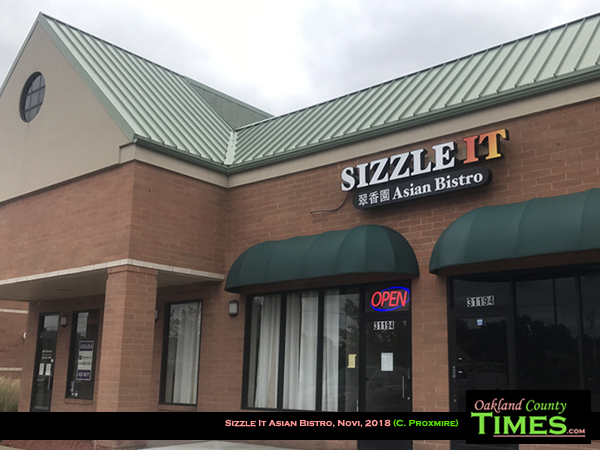 Check out their menu online at http://sizzleitnovi.com/.